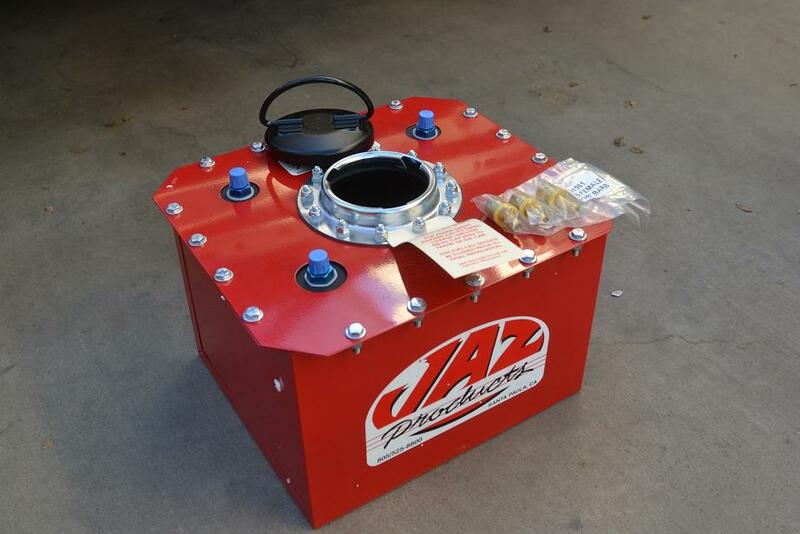 Custom built 4 gallon JAZ Fuel Cell. Metal box enclosed cross-linked polyethelene bladder, foam filled, rollover valve. -6 fuel inlet, vent and return fittings, suitable to use on late model fuel injection cars. Used in stunt and crash cars. Not your ordinary fuel cell. These are custom made for us for installation in stunt cars. 3 outlets handle late model fuel injection cars as well as carburated cars.